Someone I Care About Has Suffered Nursing Home Abuse — What Can I Do? When you place your loved one in the care of a nursing home facility or other assisted living center, you expect the caregivers to treat your family member with love and respect and keep them safe. Unfortunately, reality does not always meet expectations. Our society has seen too many tragic cases of nursing home negligence and abuse. Sadly, Alaska is no exception, and nursing home negligence happens here. Too often, the negligence or abuse is so severe and long-lasting that it results in the unnecessary death of a resident. To the attorneys and staff at Crowson Law Group, this situation is unacceptable. We will not tolerate any form of nursing home abuse or neglect. If your loved one was mistreated, received a sub-standard level of care, or died as the result of someone else’s negligence in an Alaska nursing home, you may be entitled to compensation. Our nursing home negligence lawyers stand ready to uphold your legal rights. 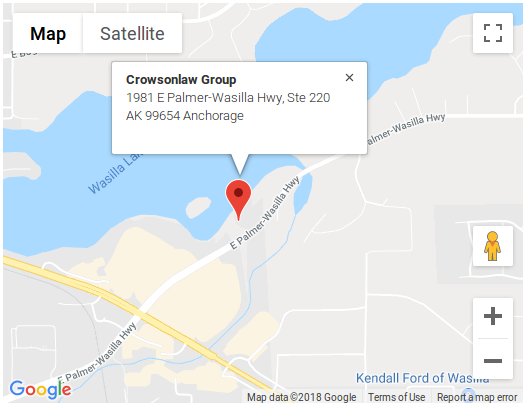 With offices in Anchorage and Wasilla, we proudly serve all of Alaska. We invite you to call or contact us online to schedule a free, confidential consultation to get your questions answered. If you notice any signs of physical, mental, or other abuse, you should talk with one of our attorneys immediately. At Crowson Law Group, we know that nursing home abuse is deeply personal and difficult to discuss. We will take the time to listen and understand every aspect of your case and explain how we can help. 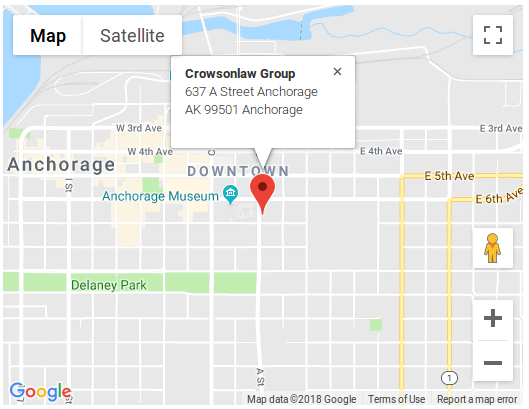 If your loved one has been injured — or if you have lost a loved one — please contact Crowson Law Group online or by email, or at 855-677-9393 (toll free), 907-677-9393 (Anchorage) or 907-519-0193 (Wasilla) to speak with our Anchorage or Wasilla personal injury lawyers. Our phone lines are open 24 hours a day, seven days a week. We are here to help.